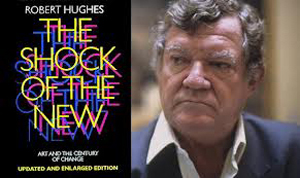 My word what a revelation Robert Hughes’ The Shock of the New has been second time around. It was pretty good when first aired all those lifetimes ago in 1980. The fourth episode, it had Utopia in the title, reviewing the history of trendy architecture in the 20th century, was the best television about art for decades. It was alive with the authority, enthusiasm and cleverness of its presenter … and of how many current art presenters could one honestly use those words? It should be compulsory viewing in all schools and colleges with tests at the end to ensure attentiveness. Everything is there, from fact to polemic, beautifully expressed by Hughes, and edited with lengthy holds on the buildings themselves so an eager viewer might understand precisely what point the author is making. It encourages its audience to look at the screen, and then to look about them at the buildings in their own lives. 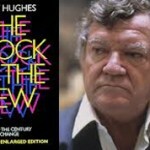 And Hughes is one hell of a stimulating guide, whose opinions and insights you want to follow up with a visit to the library. He makes you want to know more. One can’t help thinking with regret (and deep resentment) that no way would the BBC commission anything as good as this now. They wouldn’t have the guts to aim so high. They’d think it far too highbrow and well beyond the level of those who wouldn’t watch an art programme whatever the depths plumbed to accommodate their ignorance. The terror of being accused of elitism has bred cowardice. No longer has the BBC the confidence required to say to someone of Hughes’s extraordinary talent: ‘Here’s the money, go and surprise us’. Instead, the BBC prefers presenters who know next to bugger all, those who puff their friends and bowl underarm questions; those who genuflect before State Art orthodoxy. Being expert in nothing these people are affably protean, capable of repeatedly delivering the obvious observation about any topic for which weak inexperienced researchers have copied and pasted paragraphs from Wikipedia. (The excellent Mary Beard is the sole exception to this.) Arts programmes on the BBC are now so uncritical they are little more than adverts for their subjects. And the other channels are even worse. Come back dear Robert, we’ll even forgive you the sycophancy of more recently calling Hockney ‘the greatest living watercolorist’, which, of course, he wasn’t and still isn’t. It’s only a pity that the recently deceased Hughes can’t bring the programme beyond the 1970s. Can you imagine Yentob trying to update The Shock of the New? What a shudder-inducing thought that is. The result would be pitiable PC guff cobbled together from the State Art handbook. Finally, as an example of how low ambitions for programme making can sink, the ‘expert’ presenters of a recent series concerning art on BBC2 were told that they could not use a phrases such as ‘figurative art’ and ‘Impressionism’, unless they were defined, because viewers wouldn’t understand them. How thick does the BBC believe its audience to be? And is such an audience even worth bothering about? This indicates how little faith the BBC has in its viewers to self-educate, and the depths it is willing to plumb to patronise an audience. In the chase for crude ratings the BBC’s obligation to educate has been sacrificed. Its policy has pleased nobody. The real shock in The Shock of the New is its identification of the frightening collapse in standards of BBC arts programme making since 1980.